Here is the updated ice storm and snow forecast. 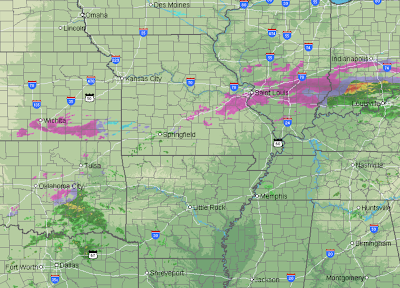 Let's begin with the AccuWeather Regional Radar from 5:15pm CST. The storm is still organizing, thus the scattered nature of the precipitation. 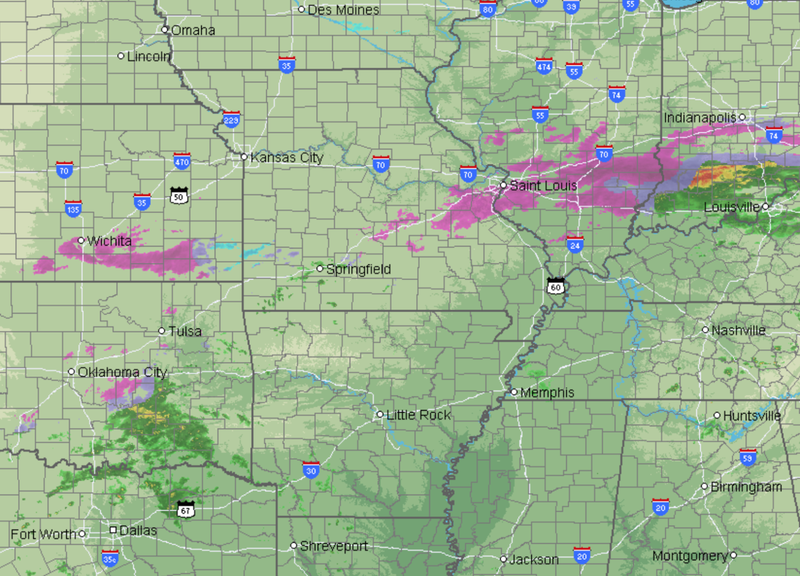 The freezing rain (purple) is moving NE in Kansas and ENE in the Missouri-Illinois area. 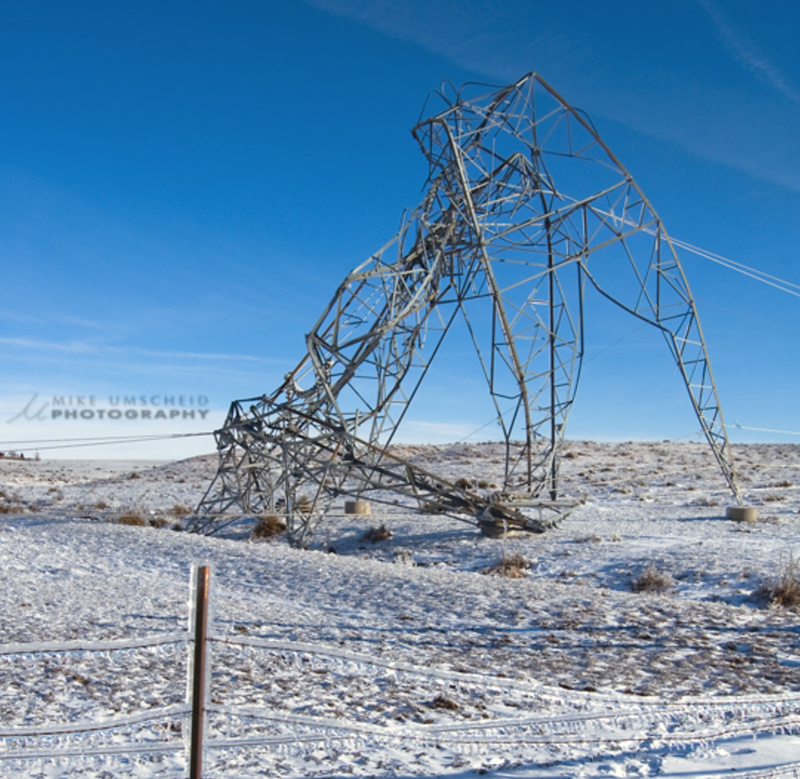 Damage to electrical infrastructure likely. 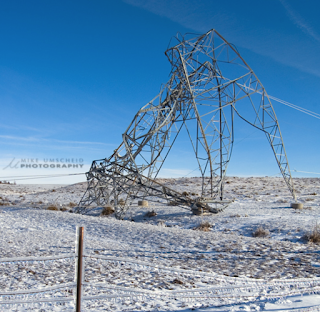 If I am right about the forecast, power could easily be out for more than a week over parts of Southwest Kansas and adjacent areas. 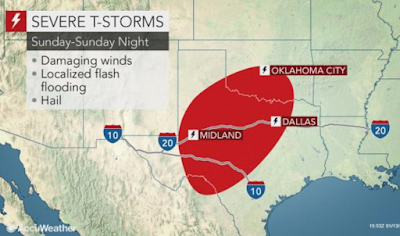 The one thing that is in our favor is that high winds are not forecast. The areas of darkest rose are where catastrophic damage to the electric grid could occur. However, because of the uncertainty in the storm path forecast, I have enlarged my area where the worst of the storm could occur to the area within the dashed yellow lines. In those areas, please follow the safety recommendations (scroll down). The very lightest shade of rose corresponds to areas where only light freezing drill could occur, which can still cause slippery roads. 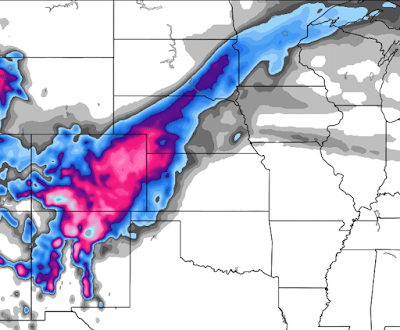 Here is the forecast snow map. The snow will begin over Colorado Sunday afternoon and spread into Kansas Sunday night.